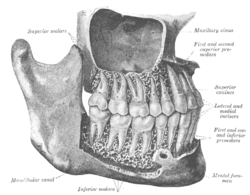 Permanent teeth o richt hauf o lower dental airch, seen frae abuin. 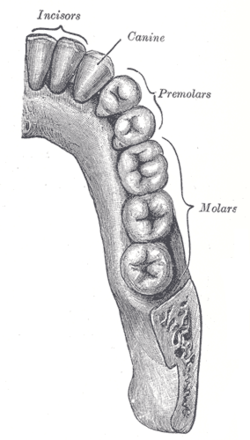 Incisors (frae Laitin incidere, "tae cut") are the front teeth present in maist heterodont mammals. This page wis last eeditit on 1 Dizember 2015, at 00:23.